this past weekend i got to experience my life's dream... i saw Neil Diamond in concert :D i've loved his music my whole life, and i've always wanted to go to one of his shows. since he was coming to Washington DC which is only about 45 minutes away, it was finally time. it was awesome!! continuing on the awesome theme... i've tried a new product that has really blown me away! 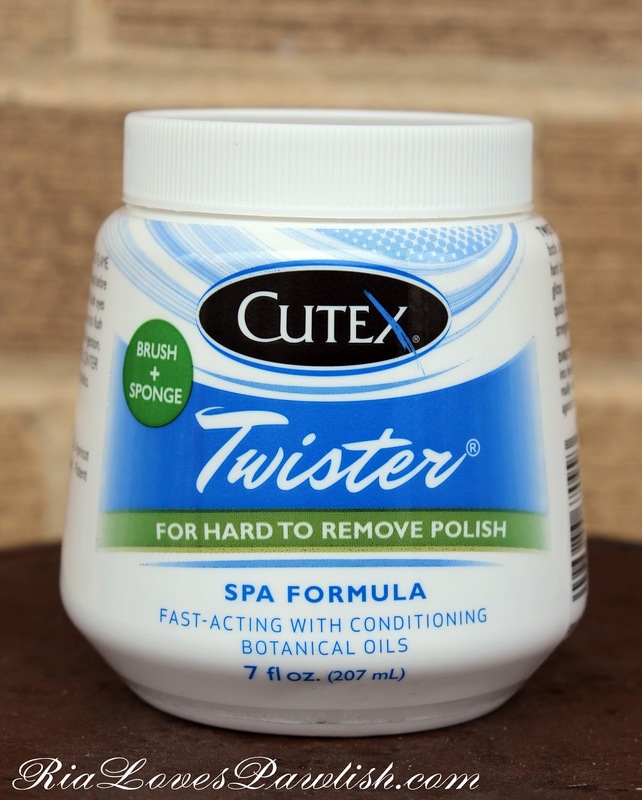 Cutex has debuted a new polish remover, Twister with SPA Formula. (it's a press sample, kindly provided to me for review). 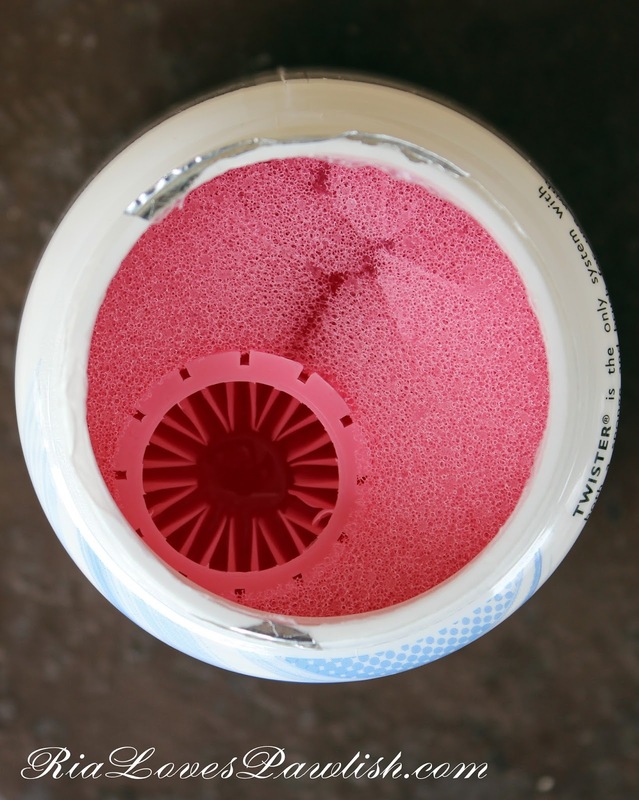 this looks like a typical sponge remover... but when you open it up, in addition to a sponge there is a spiky cylinder which works as a scrubbie brush to help get off stubborn polishes like glitter. i really didn't think it would be this good, but it is!! the formula is 98% acetone, the remainder is made up botanical oils to condition yours nails... somehow it seems to work better than the pure acetone i usually use! regular polish is removed almost instantly, glitter removes fairly quickly (less than 30 seconds) with the scrubber, while textured polish takes the longest to get off, but i would say it still comes off in well under a minute! it does leave my nails and cuticles a bit dry feeling, so i recommend moisturizing after use... well, i actually recommend moisturizing after any form of polish removal... your body will thank you! you can find Twister and other Cutex products at Target stores, although they are not currently available for purchase at Target's website. i'm really, really impressed with this product, i will absolutely be purchasing another jar when this one runs out!